Some people shine with the flare of matches, a fast, hot and small illumination lighting those around them with a flame that quickly dies. Others are candles, often ignited by the flare of those matches, but burning with a longer and brighter flame and casting a wider circle of influence, brightening the hearts of many more. Occasionally among us are those rare human beings who bear the torches of hope for our world - those whose flame lights our world in ways that we will be discovering for years and decades and perhaps centuries. One of those torches has gone out today. The world is poorer because a great man has left us. 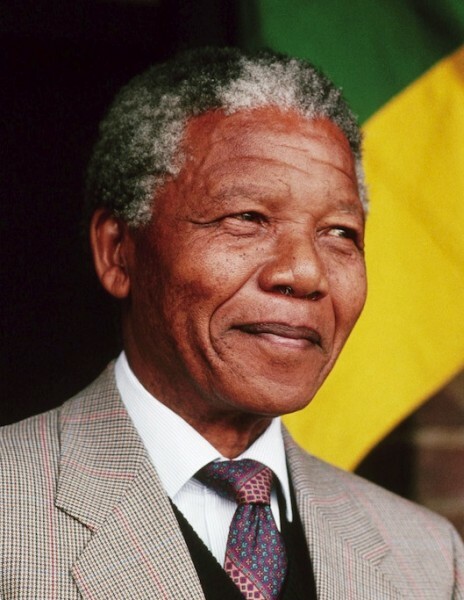 We will miss you, Nelson Mandela, but we are richer because of your constancy, your contributions and your immense courage. Thank you for having walked the brightest path and sharing our world. We have lost a great voice for peace in our world with his passing. Oh my gosh!! This IS a loss! He was a truly great man, and accomplished great things with his life. He will be greatly missed. It is indeed a serious loss to our world. A bright light has gone out. An example to us all to make something lasting of our lives. We could do so much worse than to follow his example of peaceful interchange. What an utterly beautiful tribute.